Natural colors, primarily cream tones. 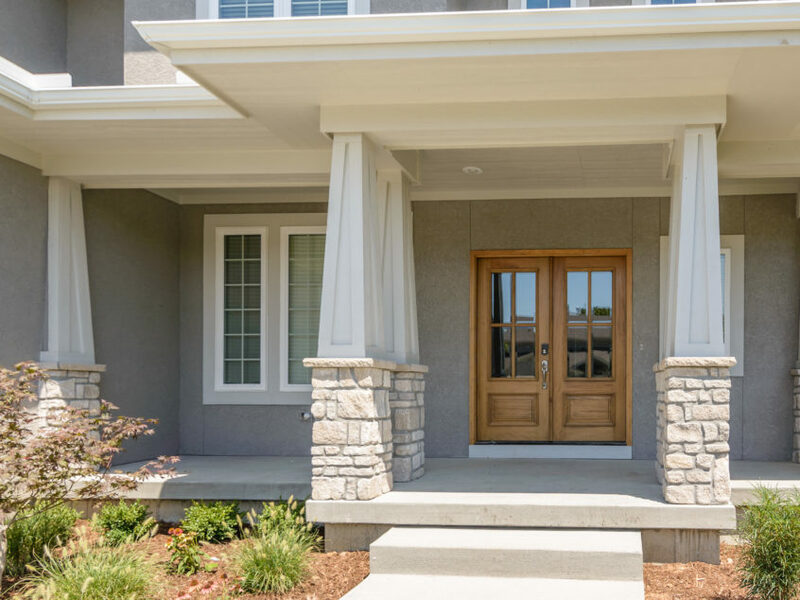 Natural stone veneer products with a lighter color palette can add a striking, yet elegant aesthetic to home design, whether it's on a new build, or for a DIY renovation project. Rockford Stone Veneer is a great example. With its combination of muted creams, light browns and greys, this product offers quiet harmony on surfaces throughout your property. Though it is cut in the traditional ledge stone shape, the split face edges have been tumbled for softness. The individual stone sizes range from 2" to 12" face heights and 8" to 20" lengths. Used on exterior elevations, Rockford Stone Veneer works well with contemporary, mid-century modern, and traditional architectural styles. Use it on eaves, porches and porticoes, front doors and other features to highlight the most distinct elements of your home's design. Used on half walls it can create coherence and interest to the eye across a linear plane. 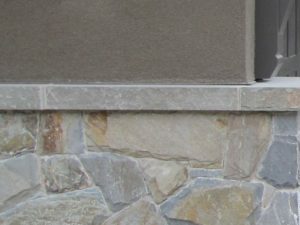 For a clean and tidy finish wherever it's applied, Rockford Stone Veneer is available with matching 90-degree cut corners, and can be paired with complementary products such as wainscot sills and post caps. The current trend in landscaping is the creation of outdoor living areas for family relaxation and entertaining. Rockford Stone Veneer can be used for backyard landscaping features such as an attractive surround for cooking grills and fireplaces. It's clean lines can also enhance features such as planting bed borders, retaining walls around pool decks or heritage trees, on pergola columns or even built-in seating. This product is also useful for interior design that looks to organic materials and textures for inspiration. Create a serene spa-like shower enclosure in the master bath or add a note of rusticity to the kitchen with strategic application. Feature walls clad in Rockford Stone Veneer can add drama to family or living rooms, especially when applied right to the ceiling and wall to wall on fireplace surrounds. It also works well to brighten up transitional spaces like foyers, hallways and stairwells.